Event Decor Direct is the premier source for glamorous and affordable adhesive rhinestone mesh for your special wedding celebration. Our adhesive rhinestone mesh comes in flexible 20" by 10" sticker sheets of light-reflecting crystals, twice the size of average adhesive sheets! Available in a variety of stylish colors, they can be used to accent and accessorize any color scheme for your special event. 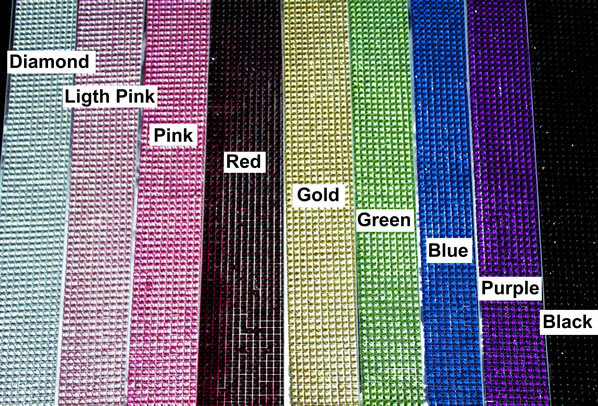 Make your day sparkle with mesh hues in Diamond, Light Pink, Pink, Red, Gold, Green, Blue, Purple and Black, or combine several sheets and colors for a significant bulk pricing discount! 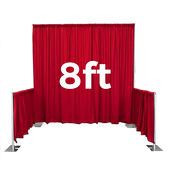 Event Decor Direct's adhesive rhinestone mesh is a versatile product that can be cut, shaped, and used to jazz up a variety of decorative elements. Adhesive rhinestone mesh looks fantastic on card boxes, gift tables, dining table centerpiece elements, or even on a custom cutout of your newlywed initials. Adhesive rhinestone mesh is of solid, durable quality but is also flexible enough to wrap around any creation. It is easy to use for both a first-time DIY bride or an experienced wedding planner alike, just trim the mesh sheet as needed, remove the protective backing, and stick! Adhesive rhinestone mesh is a perfect way to accent your creative design for all occasions and elevate your wedding event. Make your special day shine with adhesive rhinestone mesh especially from Event Decor Direct. Customers who are interested in Adhesive Rhinestone Mesh also purchase Acrylic Ornamental Drops, Beaded Curtains, Beaded Trees and Buckles & Brooches.